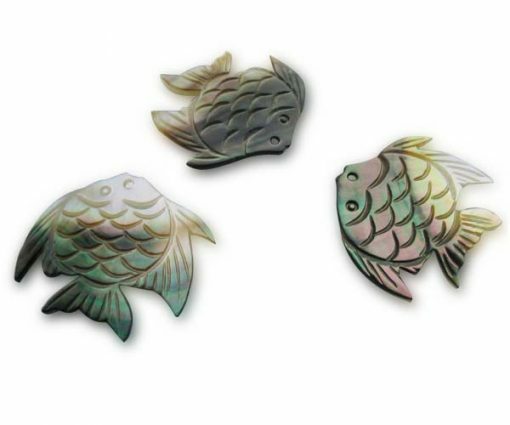 These are mother of pearl pendants hand carved in goldfish shape. 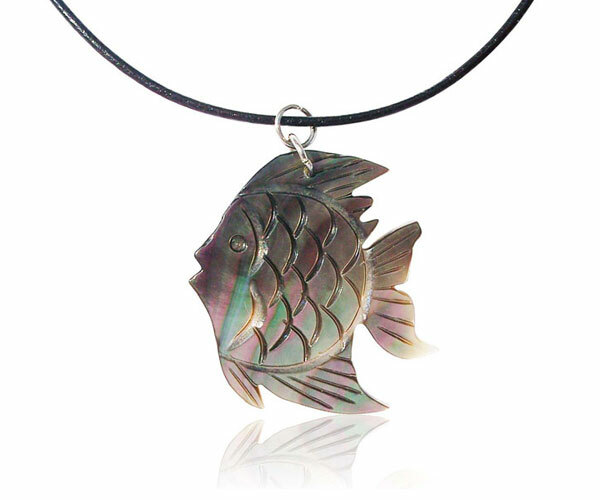 At 1 1/2″ to 1 1/4″ in size, it will be perfect to use it as a pendant as a center piece or as an end of a necklace or a chain. A hole has been drilled to go with your jump ring, be it silver or gold of your choice. 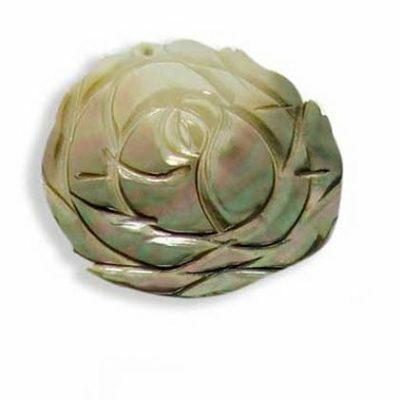 Pendants may have difference in color and overtone of the mother of pearl as they are made of nature. The Free leather cord is 17in to 17 1/2in long. It is finished by a stainless steel lobster claw clasp with 18k white gold over for extra protection.